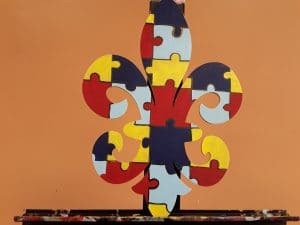 Events | Mix It Up Art Studio – Paint & Sip in New Orleans Westbank | Mix It Up! 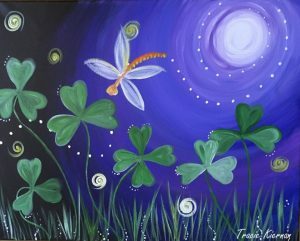 Join as we paint Whimsical Clovers on Canvas!! Come paint and socialize with us and enjoy sipping your favorite beverage from our on site Wine Bar. 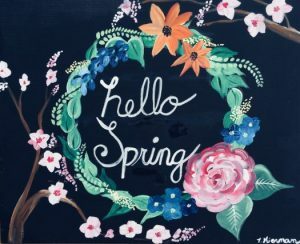 Join as we paint the spring wreath on Canvas!! Come paint and socialize with us and enjoy sipping your favorite beverage from our on site Wine Bar. Come paint and socialize with us and enjoy sipping your favorite beverage from our on site Wine Bar as we celebrate this great occasion. 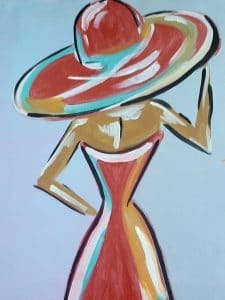 Join as we paint this beautiful the lady in the red hat! Come paint and socialize with us and enjoy sipping your favorite beverage from our on site Wine Bar. 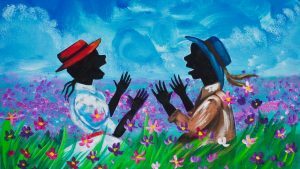 Join as we paint The Color Purple on Canvas!! Come paint and socialize with us and enjoy sipping your favorite beverage from our on site Wine Bar.